We have stayed here a few times and I can truly say that the really magical time is the Christmas season. 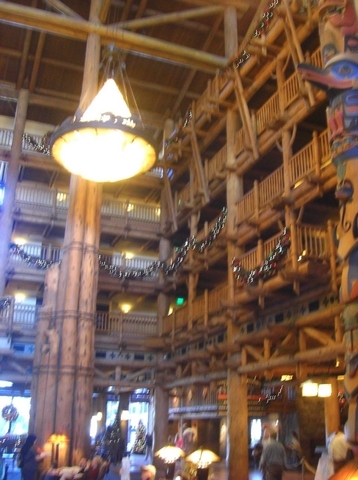 The hotel is one of Disney’s better with regard to the architecture from my point of view. However when you walk in through the vast main doors at Christmas it just feels right. 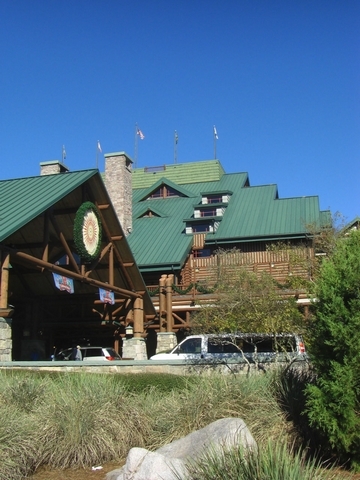 Before I get too carried away it would be good to tell you the theme and design behind this hotel. 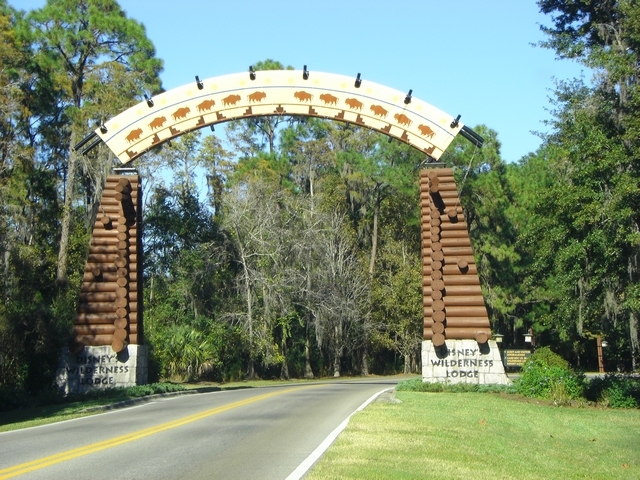 As the name implies it has been design to look like one of the major late 1800’s / early 1900’s lodges from the American Pacific Northwest. 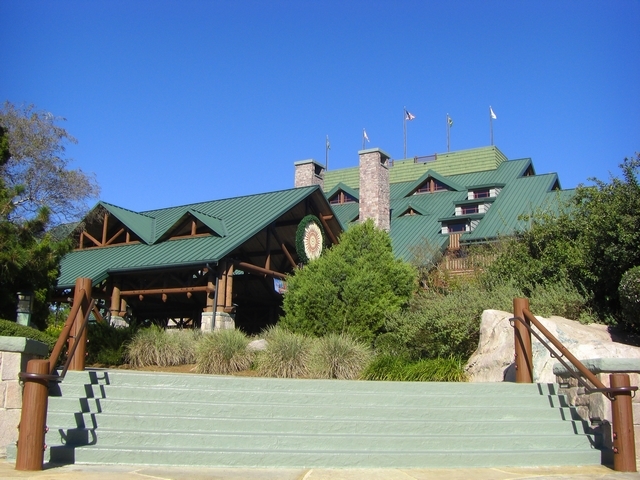 If anyone reading this has seen the old lodge in Yosemite national park then you will know straight away what I mean, only on a much larger scale. 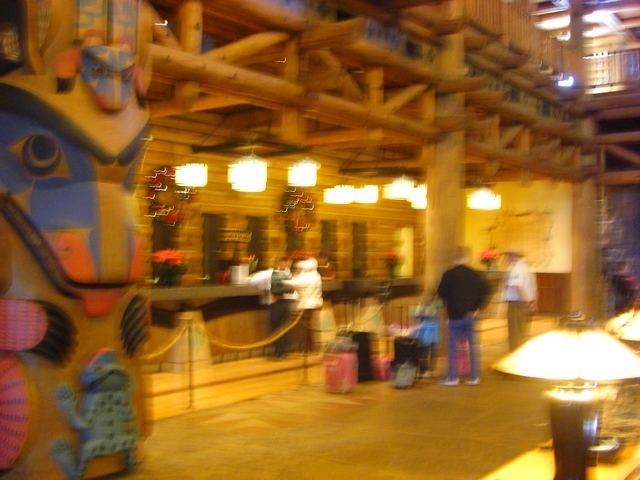 Wilderness Lodge is a deluxe resort hotel however it is at the cheaper end of the deluxe resorts which I have never understood as it offers a good location and has in my opinion the best design theme. The hotel is built around the vast lobby area which I will come back to in a minute. It then has two main wings which extend out at the back of the lobby in a U shape, but one that gets wider the further you go. The centre area as you will see from the attached photos has a river which turns into a pool with plenty of places to relax before you finally reach the edge of the lake. 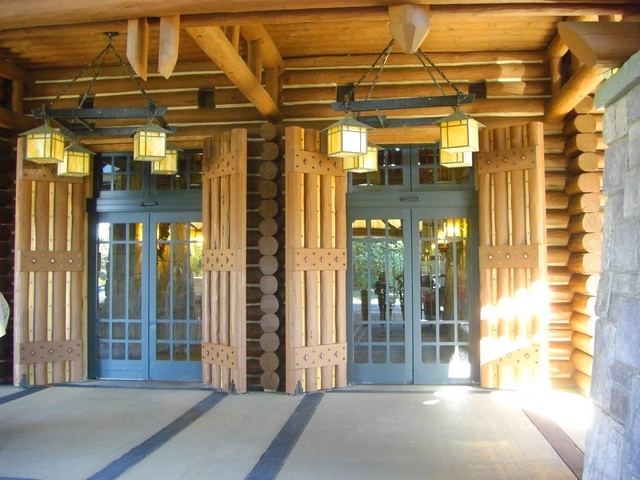 After you pass through the front doors you are presented with a cavernous lobby which seems to only be supported by towering tree trunks. 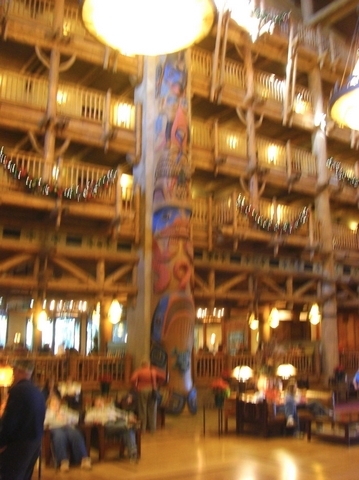 All around the entire building seems to have been made from enormous logs with two 55-foot-tall hand-carved totem poles that reflect the region' s Native American heritage. Once you have taken all this in then your next point of interest will almost certainly be the 82-foot-high fireplace made of rocks from the Grand Canyon. 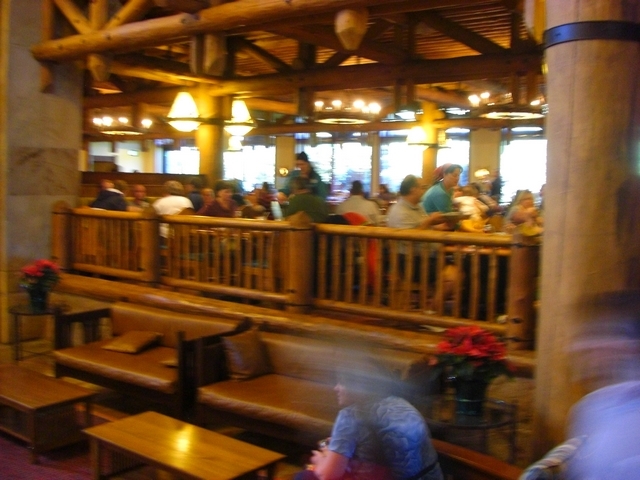 This provides both a great focal point and wonderful place to relax in one of the many rocking chairs that are provided. It can get very busy here at popular times but we have often come back from a late night out and spent some time on our own sitting by the fire before we have retired to our room. 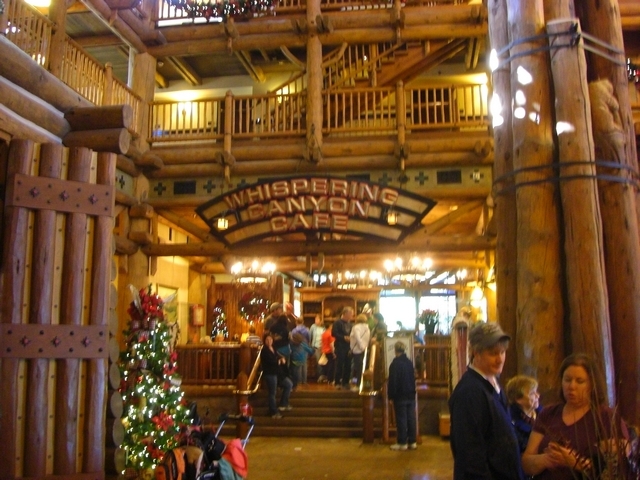 When you first enter and look up you can often miss the fact that it is all lit by enormous tepee shaped chandeliers. 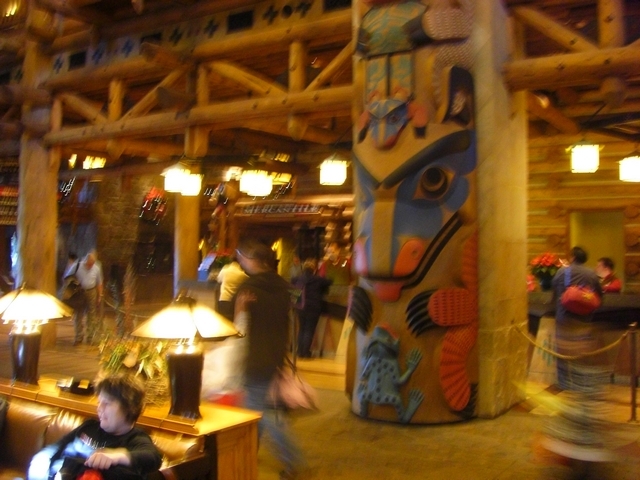 The second part of the article will continue in the lobby before moving to other parts of the hotel. Viewed 1315 times since 31 October 2015.